The team announced Dan Girardi's status Tuesday before visiting the defending Stanley Cup champion Washington Capitals. Girardi has missed the past five games. 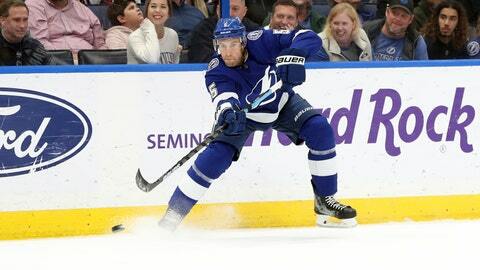 WASHINGTON (AP) — Tampa Bay Lightning defenseman Dan Girardi is out indefinitely with a lower-body injury.